Fakes. . HD Wallpaper and background images in the Prince Michael Jackson club. i think that first pic is paris .... no ? haha,these pictures look so fake. ppl r stupid and need to stop pretending to be summtin their not. There all NOT REAL! 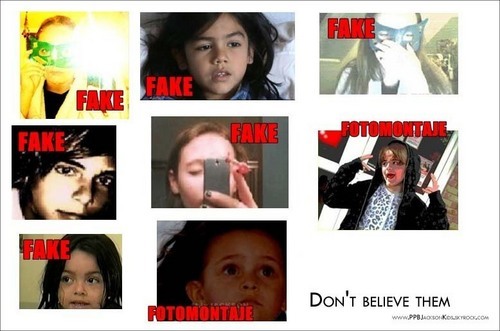 Plus the Prince picture with the funny face was from when he was talking to Omer so duh it's photoshopped! If you don't believe me look it up! The Blanket one is TOTALLY fake! I mean does that really look like Blanket to u?